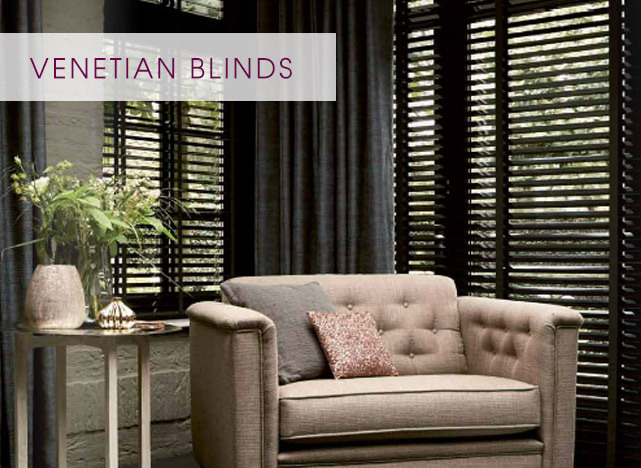 Venetian blinds are a versatile window blind option available in a range of colours and styles. Venetian blinds are available as Perfect Fit™ -which are a great choice for conservatories, they sit flush into uPVC windows without the need for drilling. Versatile option Venetian blinds offer a versatile option when chooing window blinds as they are suitable for just about any room. Colours for all tastes Venetian blinds come in colours and styles to suit all tastes. We have over 500 colours and metalic finishes. Perfect Fit™ Venetian blinds are available in Perfect Fit™. The blinds are manufactured within a frame which sits flush into uPVC windows with no drilling required.